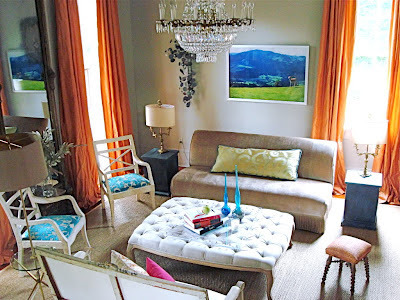 Valorie Hart of The Visual Vamp blog did this design. I love how happy it is! 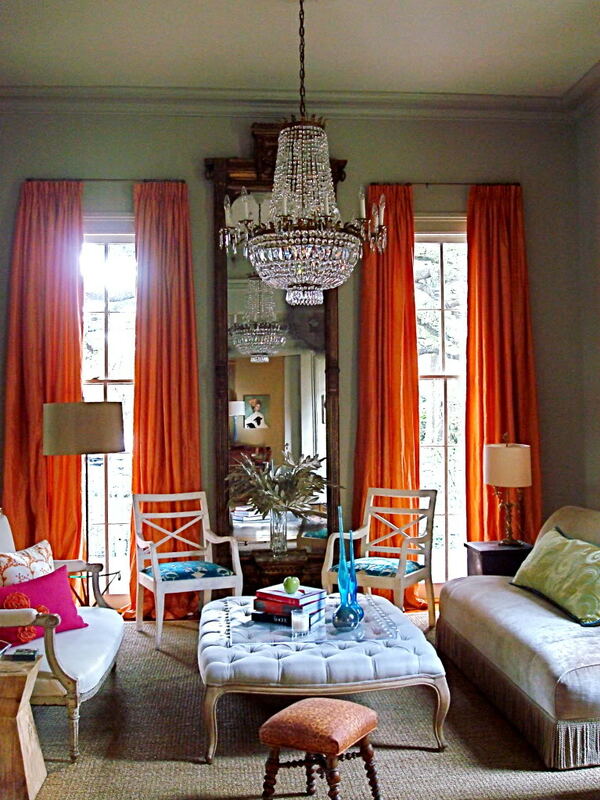 My latest design obsession is the New Orleans style. It's a tricky thing to replicate because what makes it fantastic, is the "no cookie cutter" way of doing it. 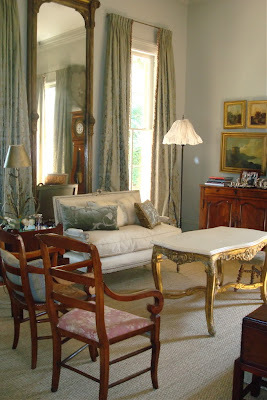 If you want the current French look, make everything beige, taupe, white and splash lavender and robin's egg blue around. 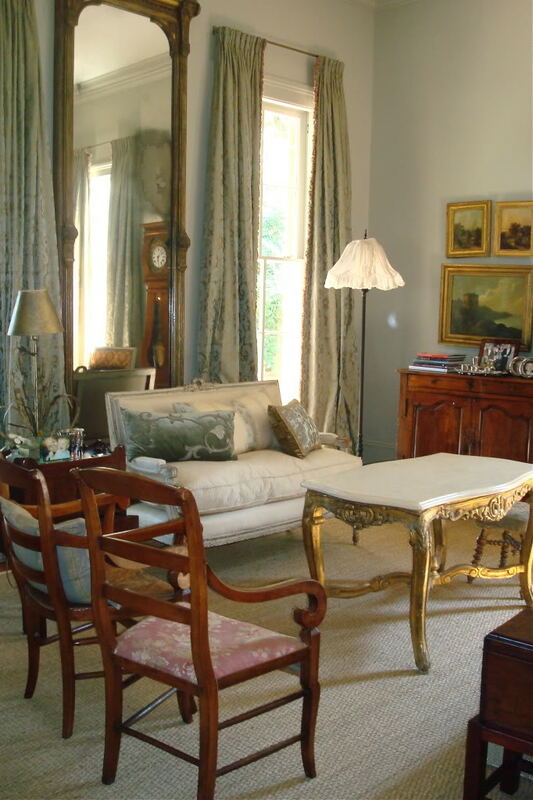 If you want the English look, load up on traditional fabrics, antique linen press chests and keep a formal look. 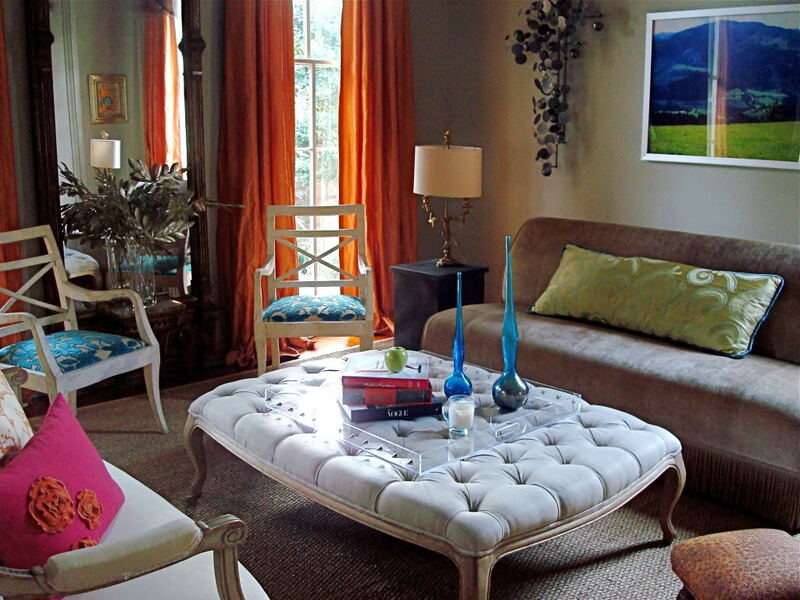 New Orleans style seems like all great things mixed in together for a truly eclectic look. I haven't lived in NOLA, but to begin acquiring the style, it appears one should have brightly hued, finely made drapes (reminiscent of ball gown dresses), French and English antiques mixed with a fair amount of either mid-century modern or Lucite tables, fine oil paintings as well as lots of modern art, campy accessories to add some humor, fabrics you want to touch and can withstand a stellar party, a vintage bar cart filled with the best liquor, linen cocktail napkins and your grandfather's bar accessories - with a good story behind them. 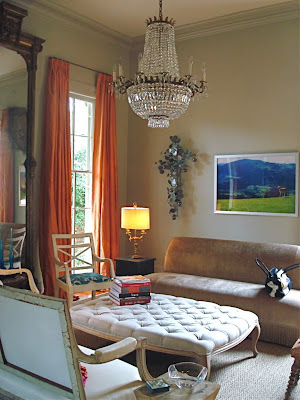 Last but not least, no house in in New Orleans is complete without an absolutely awesome chandelier! The list could go on and on but as far as I can tell, personality, color, luxury and a willingness to try anything seem to set the tone. All of my New Orleans friends have incredible style and thrive when not following the pack. I've been reading The Visual Vamp blog lately and she is fascinating to me. She does very interesting designs and knows how to stretch a dollar. To me, people like her are so talented and unique. Anyone can have a neutral background and buy a very expensive Hermes blanket for a "see, I know style and I spent lots of money" look. Not everyone can drag "grandma" furniture out of a flea market or re-sale shop and make it glamorous, fabulous and current. I think what appeals to me most, is creating a rich soul in a house, not just a shell of perfection or another person's recipe for a look. No cookie cutter indeed. True D'at! I love the pops of color in this. Like you said, it is so happy - I would love to live there!